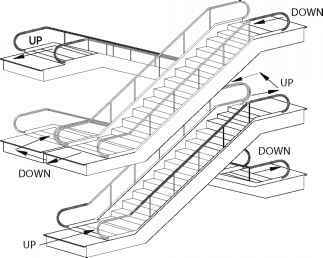 The most common arrangement for escalators places the entrances and exits to their upper and lower ends at opposite ends of the escalator. This is known as a crisscross arrangement. Escalators arranged in this fashion can be built for less money, take up the minimum amount of floor space, and have the lowest structural requirements. A spiral crisscross arrangement (Fig. 48-2), where the stairs nest into each other, offers a rapid and pleasant trip, and is very economical of space. 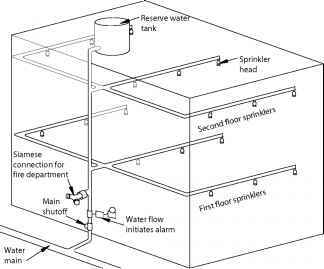 Spiral crisscross arrangements can be used for up to five floors without the user feeling inconvenienced. A walk around crisscross arrangement (Fig. 48-3) requires floor construction around the escalator, which offers an opportunity to display merchandise. Figure 48-2 Crisscross spiral escalators. and confusion, and the result is resentment. This is made worse when the floor space for the trip between escalators is inadequate, resulting in crowding, pushing, and delays. If passengers traveling over three floors don't have access to an elevator, the problem is even worse. Parallel escalators face in the same direction. They use more floor space than crisscross arrangements but have an impressive appearance. 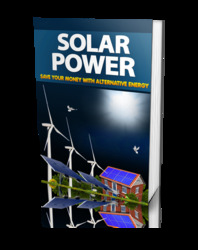 They are less efficient and more expensive than crisscross escalators. Parallel escalators can use spiral arrangements or stacked parallel arrangements. Spiral parallel arrangements (Fig. 48-4) allow the user to continue on simply by turning around at the end of the ride. Figure 48-3 Crisscross walk-around escalators. Down escalator is behind and parallel to up escalator. Figure 48-5 Stacked parallel escalators. Figure 48-4 Spiral parallel escalators. The stacked parallel arrangement (Fig. 48-5) forces users to walk around, and if the trip is too long, users become annoyed. Stacked parallel arrangements are used in mass-purchasing facilities and malls, and are mostly limited to two stories. In public buildings, transportation buildings, and other heavy traffic areas, they are easy to see, and may all go in the same direction. Stacked parallel escalators offer the option of reversing direction during rush hours when everyone is going the same way. 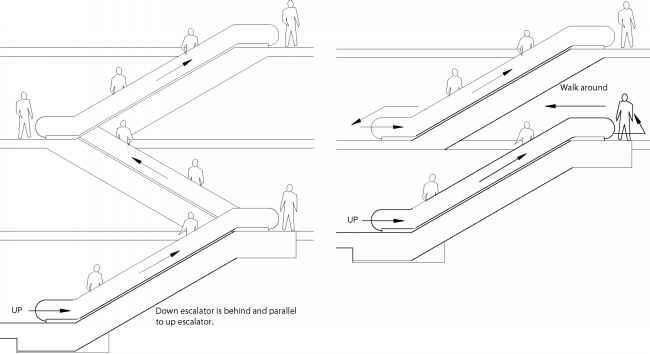 What are the possible way of arranging an escalator? 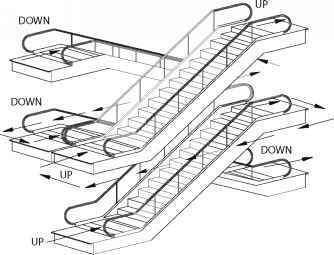 How many escalator arrangements arrangement exit?